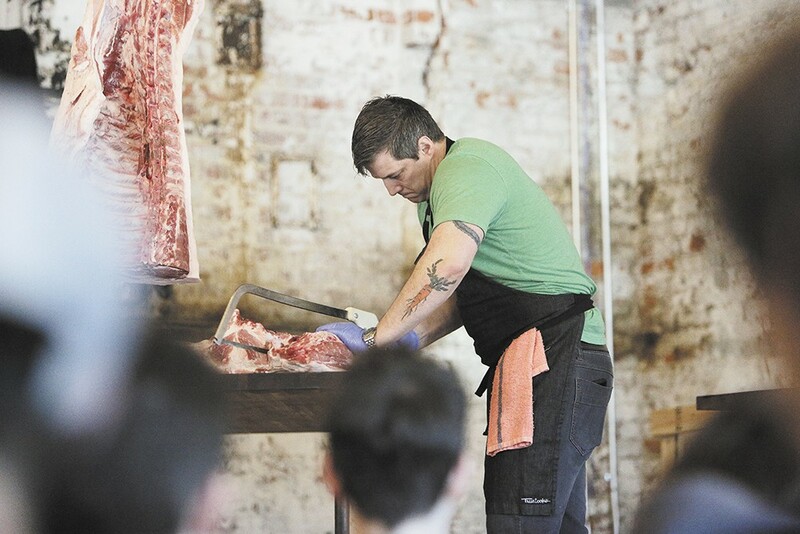 Chef’s Week founder Jeremy Hansen demonstrates how to break down a pig carcass. There is no shortage of love for Pig Out In The Park. For 37 years, we've flocked to the park, stuffed ourselves silly and called it a day. But to get all of our food festival consumption done in six measly days seems like the "boa constrictor" approach to eating: consume mass quantities all in one sitting and spend the other 349 days digesting until the next feast. Luckily, our community's culinary wizards realized we could use a snack to tide us over, so they came up with these perfect food festival additions.